Ivy Katz is a body-centered psychotherapist as well as an experienced yoga teacher. In addition to regular public classes, Ivy teaches an Empowered Teen Yoga series for girls. 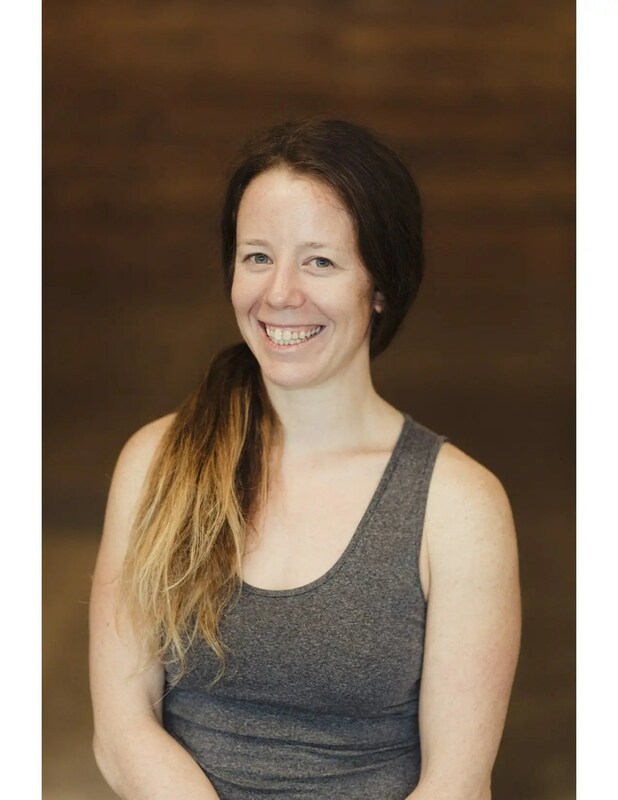 Besides teaching classes and working individually with clients, she also leads internationally recognized, trauma informed yoga teacher trainings for the non-profit, Street Yoga. Her next training will be held at Yoga Union May 4th-6th. 1) How does your yoga series improve body awareness and body image, self worth, self-control, and self-respect? The class emphasizes and focuses on students learning how to cultivate a mindfulness practice. Each class begins with a relevant theme as well as a simple check-in, as an assessment opportunity for me and an opportunity for students to share how they are doing, and anything they want to focus on during the class. Throughout class, I attempt to normalize that we each have different bodies and experiences occurring all of the time, and therefore, may need or want different things. I remind them often that in yoga we are paying attention to what is present and practicing at our own pace, rather than focusing on attaining an end-goal. They are being taught that the difference of a yoga class versus a stretching or strength-building class is about the experience beyond just the physical, and more about learning to have a stronger relationship with themselves and the world around them. As a result, we explore what comes up mentally and emotionally. With the use of themes, education about the mind/body relationship and yoga philosophy, I aim to help them understand how a mindfulness practice can be a useful tool for them throughout their lives. Classes involve movement/asana, breathing exercises/pranayama, meditation and at times, partner discussions and reflective writing exercises. I ask students to choose the variation of movement that honors their physical body and mental state in the present moment. 2) How do you adapt yoga to be better suited for teens? How is yoga for teens different than yoga for adults? There are a few things that make the class for teens look a bit different from adult classes. As I mentioned above, every class begins with a check-in of some sort. This gives us time to connect and build rapport, and I am able to adapt the class to meet their needs. I find that kids and teens are open to engaging and trying things with you when there is some kind of established relationship. Time is spent much more relationally during the class, compared to teaching a group of adults, where that tends to happen more before or after class. With adult classes that take place in a studio or gym setting, an adult knows what they are signing up for and has chosen to attend that particular class for a reason, while some of the teen students come because the class has been recommended to them. The yoga class for teens is a bit more broad, and more of an introduction to the practice of yoga which could mean a lot of different things. I might stop halfway through class and give them a question to ponder or something they can respond to out loud or with a partner. We also might do more creative activities or games to explore yogic themes and philosophy, while these types of discussions with adult students tend to be reserved for workshops or trainings and generally speaking, a typical adult class will focus mostly on asana. 3) For parents of adolescents – teens or tweens – how can we reinforce the positive habits yoga brings with children? Overall, what is often most universal is learning more self-care, and understanding their strengths and the habits they have developed that could be keeping them “stuck.” Yoga is helpful in learning to tolerate uncomfortable or distressing feelings, and discerning between discomfort and pain. For some students, this may look like struggling with feeling emotionally safe, which could lead to aversion to new experiences, or being easily reactive to something that isn’t necessarily congruent to the moment. A yoga practice can give students new tools; i.e., helping teens develop greater tolerance and a sense of adaptability. Other students may tend to do anything that is asked of them; they struggle with saying no. Moreover, some students suffer from anxiety around feeling less-than, and as a result, they tend to over-achieve and over-extend themselves. For some of these examples, their practice could look like having stronger boundaries and resting when appropriate. These practices can have such a positive impact on teens during this developmental time in their lives that they carry these tools with them into adulthood, rather than reinforcing or strengthening these natural struggles later on in life. As a parent, mindfulness practices that they can model for their children can be helpful. For example, encouraging children to pause and have a moment to slow down and to notice how they are feeling in the present moment. Yoga emphasizes a connection within our own selves and one another. Mindfulness practices help us to approach these relationships and experiences from a place of compassion and openness. 4) If you only had 10 minutes to do a practice – what would you consider the most important? This really depends on the day. If I’ve been sitting all day and it has been emotionally heavy; physical movement helps me process my own feelings and tensions that may have built up. Other days I need rest and stillness. Generally, I would say a condensed version of what I often teach, which is a few moments to pause and check-in, time to move or respond to what my body needs, intentional breathing and time to rest and integrate. 5) How do you practice self-care for yourself when working with people affected by trauma? I believe the most important aspect of self-care is being aware of my own wounds and traumas and understanding that they can and will be activated in relationship with others. As a psychotherapist, I had to have supervision prior to receiving my license. Since then, I continue to participate in a consultation group. I’m grateful that I can bring the resources I have from that training into what I do as a yoga teacher as well. 6) What is your favorite pose? Is there a pose you’re working on? Or a pose that means something to you? It often ebbs and flows, but most consistently, it has been handstand, and at present it is savasana. When I first began practicing, handstand came more easily to me then savasana did. I had been a gymnast as a kid so handstand was nothing new to me when I began practicing. I never feared going upside down; however, It wasn’t until I cultivated a strong mindfulness practice that holding handstand happened for me. What I love about handstand is that in order for me to stay up in the posture, I have to be fully in the moment. It took me a while to feel safe enough to be truly present in the way handstand almost forces me to be. I also appreciate the change of perspective. I usually feel more energy after going upside down; it can be exhilarating and rejuvenating. At 21, when I first started practicing yoga, I struggled with being still, and thus, struggled with savasana. It is powerful for me to witness the evolution of my own relationship with savasana and the love I have for it today. I also can feel the impact of the culture we live in, and the work that I do as a therapist that at times, going home and simply lying down and being still is so nourishing and important for me. I have learned through my practice, the ways in which my body can feel activated by something that I am passively or consciously taking in; whether through the work I am doing or from my surroundings. Making the time to simply rest and scan my body and notice the places that might be over-efforting or gripping is an important practice for me. 7) What do you notice about people/teens going into your class, and how is it (maybe) different from when they are leaving a class? The teens that I teach at Yoga Union often come into class tired, overwhelmed or stressed out. They may feel as though they have too much homework, or there is a sense of helplessness with regard to world events. At t times we also discuss how screens and social media impact their lives. Some of them also come in very soft spoken and shy. By the end of class, they all leave looking and often saying that they feel relaxed. Additionally, the social interactions amongst students increases. It is beautiful to watch many of the kids gain greater self confidence, through trying something in class that they anticipate they can’t do and then surprise themselves with their success, simply by trying it out. 8) What got you interested in this intersection of mind and body? I began yoga in my early twenties during a time when I was very disembodied. I’m grateful that at that age I was introduced to and spent a lot of time involved with dance as a contemplative practice. I was also in therapy, and practicing yoga and growing spiritually. I experienced trauma in my teens and early twenties that lead me into my own healing journey. I’m grateful that the resources that were available to me at a fairly young age during a sensitive developmental time set me on the path I am on. The education I have had and the work I do as a somatic psychotherapist has really helped me understand yoga philosophy in a way that makes a lot of sense to me. As a yoga teacher I am often integrating my understanding of mind/body through the lense of somatic psychology and how that integrates into yoga philosophy.